When you get served with a divorce, it is a shock. It is easy to think irrationally. Even to refuse to sign the document. Whether you sign the papers or not, your divorce process has begun. There are two parties in a divorce. One is the spouse that makes the application to divorce (PETITIONER); and the other is the spouse who was served with divorce papers (RESPONDENT). How the divorce proceeds will depend on the respondent. If you are the respondent, and you do not agree with the terms of the divorce, it is essential you contest the divorce papers. These documents have to be addressed to the court with the help of a lawyer specialized in family cases. An uncontested divorce Is when the respondent doesn´t sign or respond to the divorce paper; or when the respondent agrees with all of the terms. In the case that the respondent didn’t answer in time, (s)he automatically loses the right to negotiate for conditions that are in his or her best interest. If I´ve only been married for a short period of time, shouldn’t my divorce be easier? Usually, the respondent has 30 days to respond to divorce papers; if the respondent doesn’t answer, it can result in a default judgment, which means the terms proposed by the petitioner will be accepted. The respondent will lose the right to fight for conditions that are more favorable to their situation. 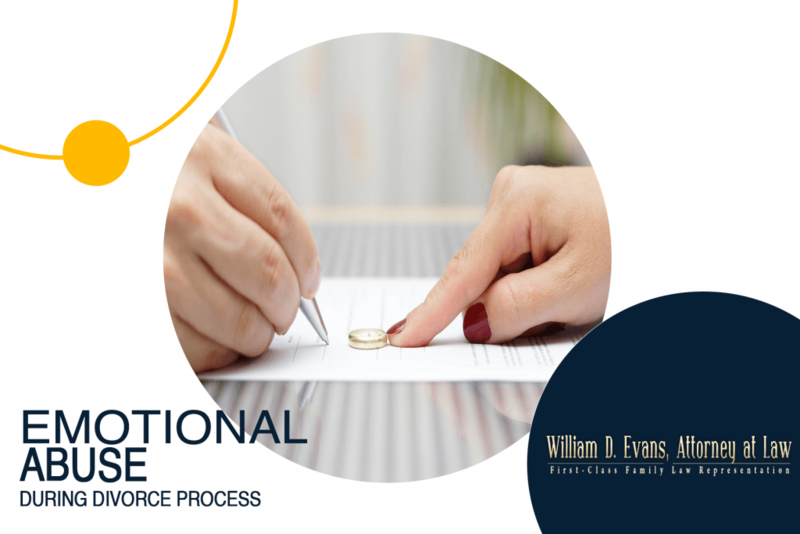 If you recently have been served with divorce papers in Long Beach, Seal Beach, Lakewood, Palos Verdes, San Pedro, Newport Beach, or Los Angeles; we can help you to understand what the documents say and how you should respond. 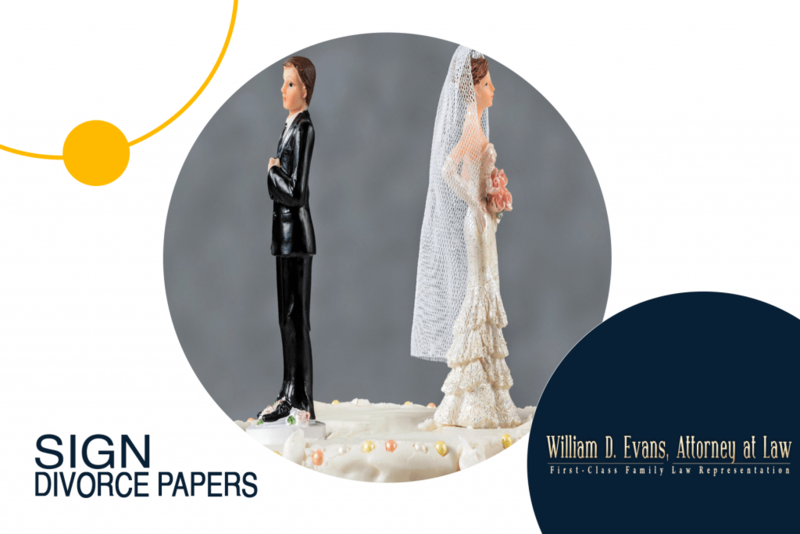 William D. Evans family law attorneys are here to help you. Call us to schedule a free consultation at 562-439-9001. Even though you´re going through a divorce, your spouse does not have the right to be emotionally abusive. If this is happening to you, you have to understand that your divorce process will probably be even more demanding than the typical divorce. Emotional abuse usually causes strong feelings of shame, helplessness, and fear and can result in serious emotional distress and psychiatric damage. That´s is why it is very important to keep records. When you are divorcing someone who previously was, or continues to be, emotionally abusive; the divorce process will probably be even more demanding than the typical divorce. It is very important you know that you can ask for legal help with this issue. Make sure you track any proof of abuse during the time you were married and throughout the divorce process. You may have a restraining order against your abuser, in which case he or she is forbidden from contacting you. If he or she continues to contact you, keep a record of these restraining order violations and report them. Remember you can´t do it by yourself. You need a trusted advisor who can give you the best path to a successful legal solution. You may be ordered to attend mediation to resolve your issues. If mediation doesn’t work, your divorce may go to trial. Here, a judge will consider arguments and evidence offered by both sides. If your spouse has engaged in unreasonable and hurtful behavior that’s caused you extreme emotional pain, you may be able to use this to your benefit at trial. If you and your spouse shared any children in your marriage, the divorce process will also address the custody of your children. In cases where there is a record of abuse by one parent, the other parent typically has a substantial advantage if he or she wishes to obtain primary or sole custody. A judge will consider the best interest of the children and the behavior of each parent is an extremely important factor. Again, the records you keep of any abusive behavior your spouse exhibits, either towards you or your children, can be used to help you obtain the custody you seek. As a Long Beach child support attorney, complex issues often arise in the determination of an appropriate child support award and monthly payment amount to be paid by a parent. An issue which frequently arises involves a parent who is willfully unemployed or underemployed by working part time or in a job below the skill level or employment experience of the parent for purposes of diminishing the amount of income available for child support. The court has wide discretion in determining a fair amount of child support in those cases and the services of a superior Long Beach child support attorney are required to ensure a proper result.